With the biggest market penetration and suppleness, mobile app ecosystem proves to be the largest target market for businesses. Over 250 billion free apps were downloaded in 2017, businesses realised that adopting mobile app strategy is the necessity to survive in the market. On the whole, 2018 is going to be a power-packed year for mobile app development with emerging technologies like block chain, artificial intelligence, and predictive analysis to boost up new possibilities. 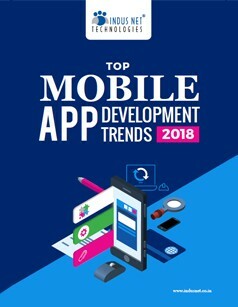 In this eBook, we present top mobile app development trends which will leverage the businesses in 2018.